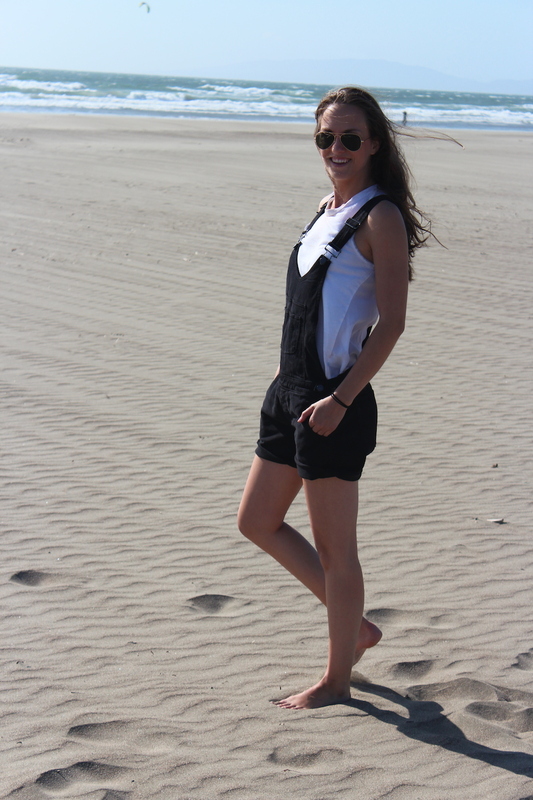 Shortalls, rompers, overalls… we love them all here at Denimology. But we also know these can be some of the most difficult and intimidating styles to test run, so we’re doing the leg work for you! Hopefully after checking out some of our Spring/Summer reviews this season, you’re feeling a little more at ease with this trend, and are ready to the plunge! And today I am reviewing the Paige Rikki Shortall in Vintage Black. As you well know by now, Paige has long been my go-to brand of choice. I love the fit and style of many of their basics, but really live in the brand’s sportswear and trend items every season. Last spring it was their cropped denim jacket, last Fall their slouchy boyfriend jeans, and this spring, their super cute & trendy rompers. I’ll be posting a few different reviews over the next few weeks so you can check out all of my favorite pieces from their spring line (and I’ll make sure to include some helpful styling tips to pair these new styles with items already in your closet). Rompers, overalls, and shortalls are major trend items for Spring/Summer ’14 and we’re already seeing the look carry over into the pre-fall and fall collections. It’s summer, ladies – time to try this new look that’s perfect for “Skies Out, Thighs Out” weather! 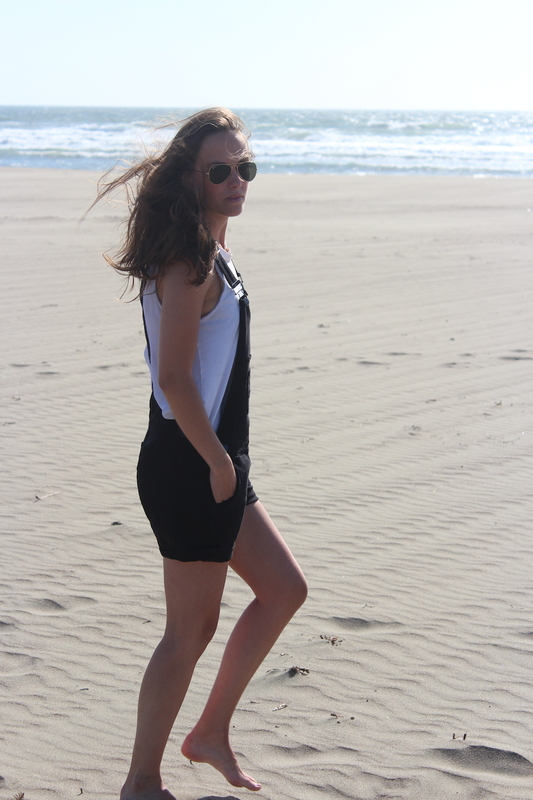 For my review of the Rikki Shortall, I grabbed a few basics (a slouchy white boyfriend tank + my Ray Ban aviators), my camera, and my friend Lauren and shot down to the beach to capture this laid back look. The wind was killer, but nothing beats a little mid-week trip to the beach, even if you’re running around like a crazy person trying to stay warm when the wind whips. My two rules for shortalls & overalls? 1. Keep it simple: pair this look back to old standby basics, white tees, and delicate jewelry and accessories. Keeping the look simple and without too much thought keeps you from looking like you stepped off the set of Full House. 2. Keep it laid back: you don’t want to look like you’re trying too hard, or like you’re a trend victim wearing all of the items of the season head-to-toe. Keep the look sporty or casual, don’t worry about hair and makeup (and in my case at the beach, shoes)- this look is all about natural beauty + your relaxed, summertime vibe. For the Paige Rikki Shortall I recommend ordering true to size. True to size will fit with a little slouch, and that’s the look you’re going for. 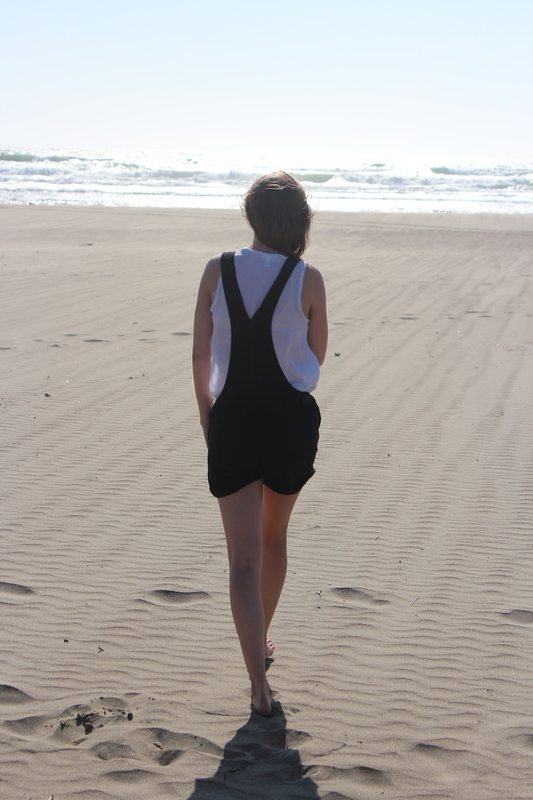 You don’t want your romper to be too tight or too short in the torso (yikes!). The laid-back slouchy look will keep you looking modern, and help you avoid looking like you’re breathing new life into your favorite 4th grade jumper. 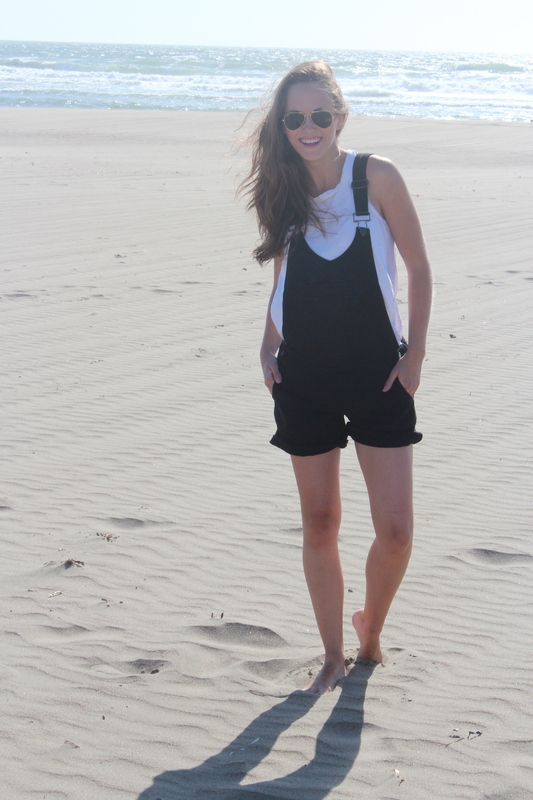 I love that this romper comes in Vintage Black denim. The style is also available in a true denim wash, but for me, that would look too young. I like that the black denim provides a more updated, modern look, and seems more special than the basic blues (that remind me of the 90’s). Plus, the black looks a bit edgier and pairs well back to white t’s, distressed ankle boots, and sporty trainers. Like I said, it’s all about not trying too hard, and the black wash keeps things cool and edgy, while still casual. Another tip for styling shortalls? Add a cropped but cozy sweater underneath for a different texture, or layer your favorite oversized chambray or leather jacket over the look for more coverage (and to break up the look a bit). The Rikki Shortall in Vintage Black is available here.